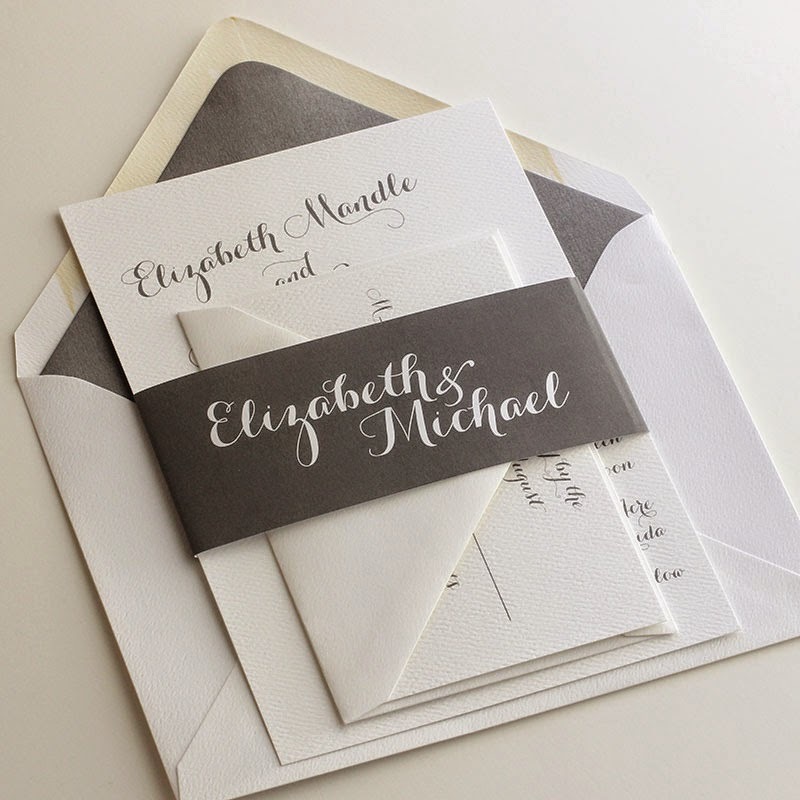 I am smitten with our elegant wedding invitation designs. I love how they lend themselves to being romantic, modern and chic at the same time. 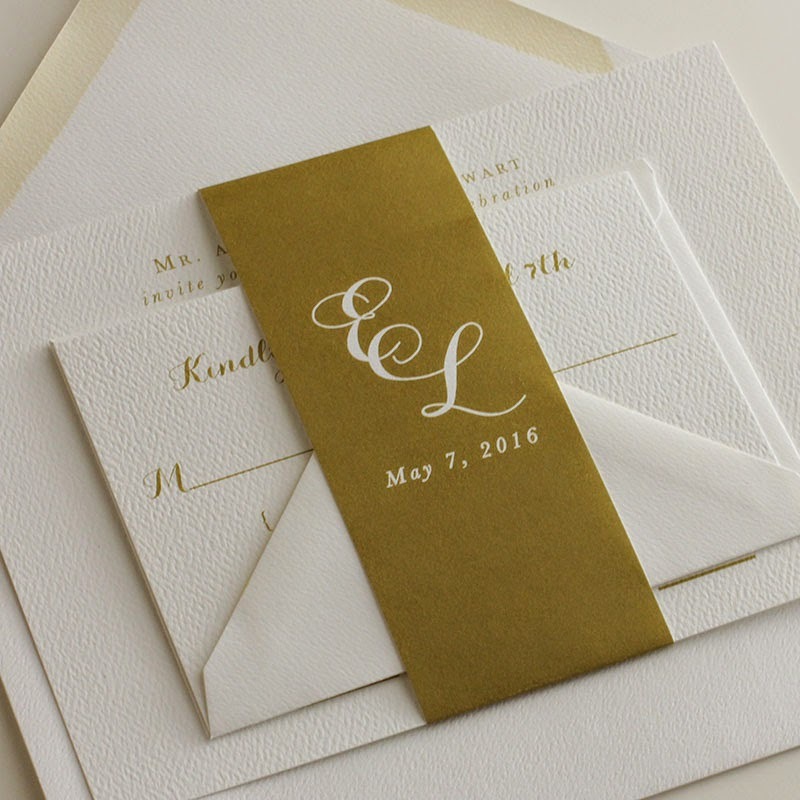 The 2 above photos are of our Elegant Wedding Invitation suite printed digitally in gold with a super chic initial belly band. 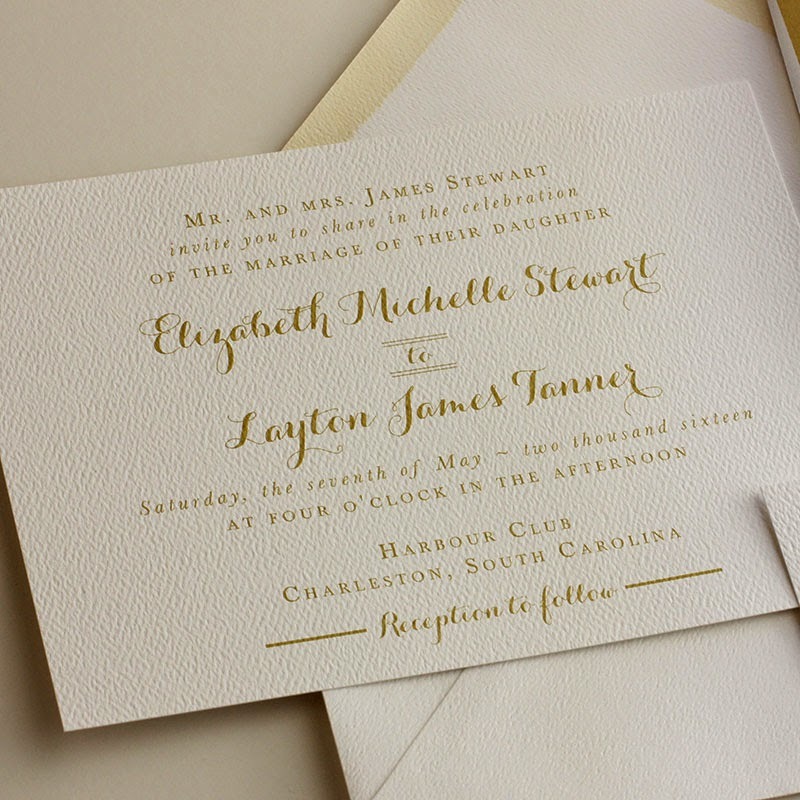 Printed on our fabulously luxe 110# felt paper, it most definitely will wow your guests. 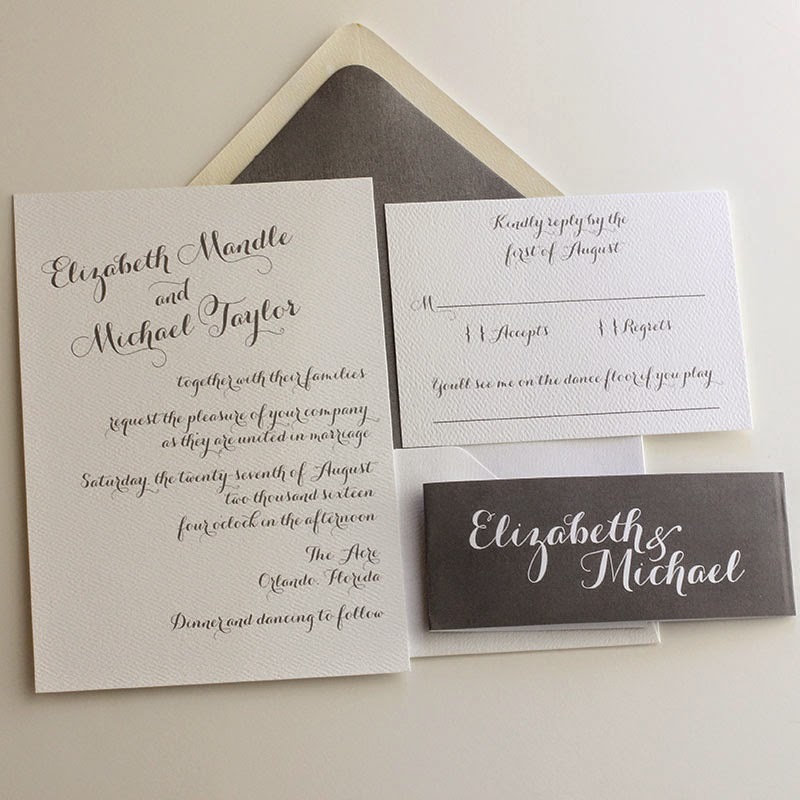 I'm super fond of our Elizabeth Wedding Invitation suite, shown here in gray digital printing. With a timeless design, it can easily go from ballroom to rustic wedding with a beautiful outdoor reception. I love the look of an all script invitation. But of course, if you prefer a mix of block & script fonts, we are happy to accommodate so our design is exactly perfect for you. 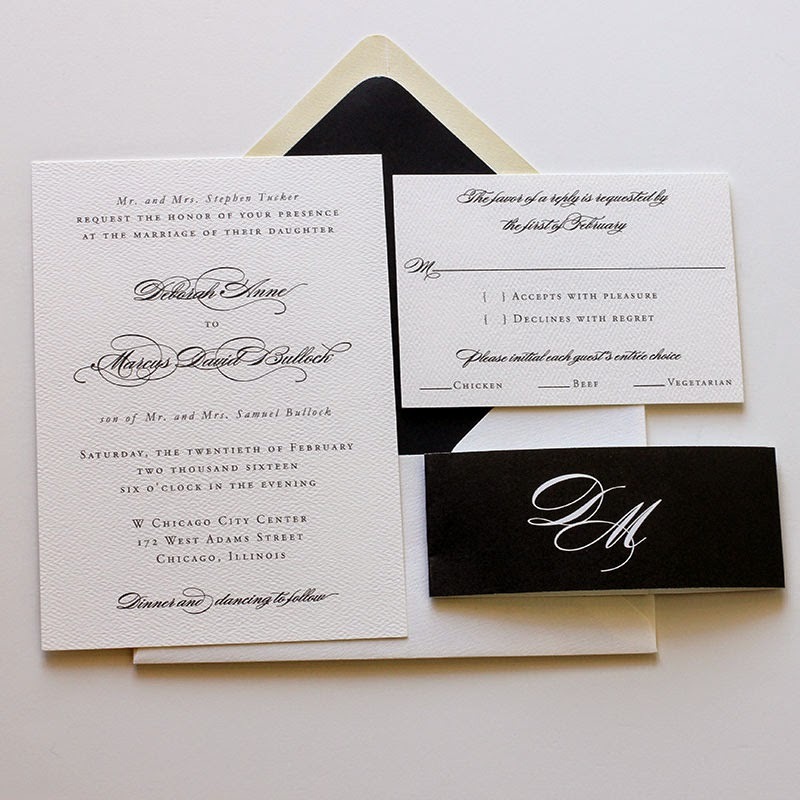 And this absolutely timeless and chic design is our Grace Wedding Invitation. 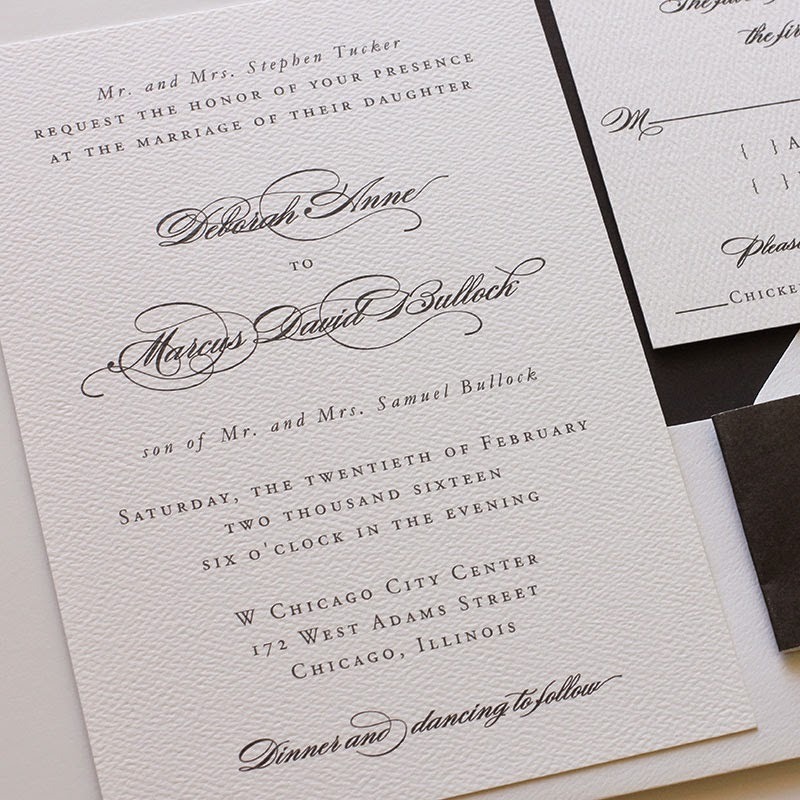 The epitome of elegance with the sweeping script and black printing. And of course all of our digital wedding invitation suites come with belly bands for the most lovely presentation for your guests.